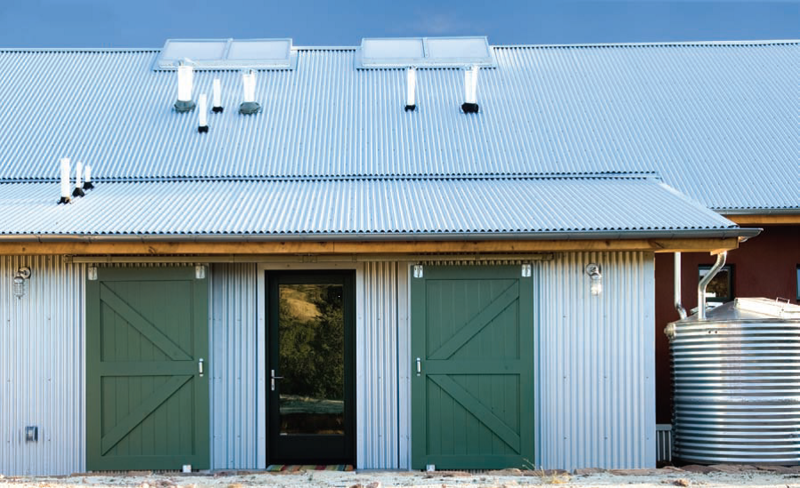 For an inspiring corrugated steel home design, take a look at this home featured in Su Casa magazine. Google Lamy Home palosanto designs. This design would look wonderful in South Africa. The New Mexico environment looks very similar to the Western Cape. This home combines many eco friendly solutions with a great looks. Especially interesting is the use of corrugated steel rainwater harvesting tanks and how the tanks complement the corrugated steel in the rest of the building.